Santini GF Mont Ventoux. Sunday 16th June 2019. A chance to test yourself on one of the most famous climbs in cycling before seeing the Pros take it on the next day. Friday 14th June - Fly into Marseille. We recommend arriving before midday if you can since this will allow you to get your bike set up and have a quick spin in the afternoon. Airport pickup is included and our hosts will get you all booked into the accommodation. Saturday 15th June - Guided warm up ride around the base of Mont Ventoux and the surrounding areas. The Gran Fondo entries will be delivered to your hotel or you can have a spin to the Expo to have a look around. Sunday 16th June - The day of the Santini GF Mont Ventoux. Its an early start so we look to transfer you to the start line from our hotel for 6.30am. After the ride our local hosts will meet you to get you back for some well earned rest & relaxation. 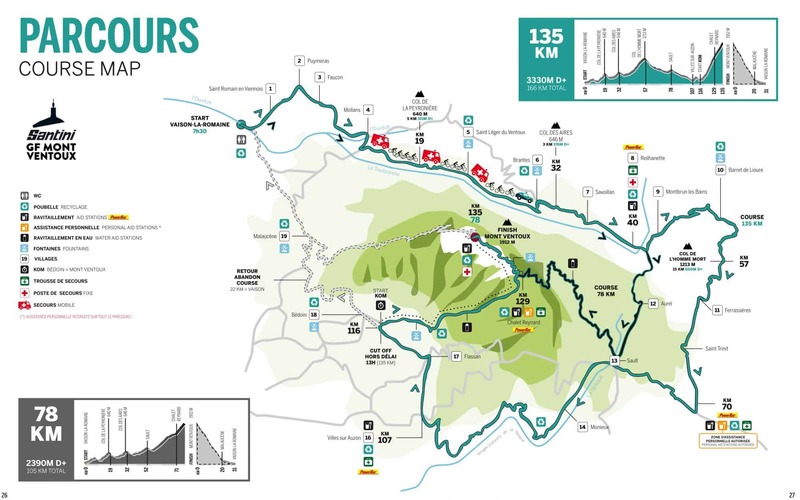 Monday 17th June - The Pro Race takes place today so its a leisurely spin down to find a good spot to watch the pros close to the summit with some refreshments before heading back to the hotel. Tuesday 18th June - Departure day back to Marsaille Airport. We recommend booking afternoon departure flights. Spaces are limited for this event so get in touch and take on the mighty Mont Ventoux! 30% booking deposit required in order to reserve your space. To take part in Santini GF Mont Ventoux events you have to get a medical certificate signed by your doctor within the last year from the event date. Flights to Marseille or the Eurostar to Avignon are the best option and we can organise transfers from both. With its own climate, Ventoux is a unique challenge to any and every cyclist. Don't be fooled by the weather on the lower plains. Its often very different to what is to come on the last 10km of Ventoux. Full balance is required 10 weeks before the date of Santini GF Mont Ventoux. In addition we also require the name, contact number and email address of each traveller.